Tracks by Baby Gramps, Jim Page and James Talley appear with permission from the artists. 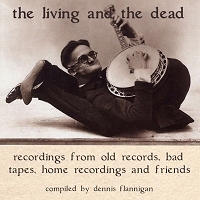 Great set of oddball recordings. Highly enjoyable. Thank you. Loved your Christmas album. DENNIS! Thanks for the awesome Tacoma stuff... love that Heidelberg ad. I'm a big wfmu fan and Tacoma resident. we've met before...next time let's talk WFMU and tunes! thanks, i remember seeing baby gramps as a kid. he was older then, by now he is probably a young man. isn't that what happens when babygramps ages?